Administrative/Biographical HistoryJannushka Jakoubovitch (b. June 20, 1933 in Paris, France) is a Canadian Holocaust survivor of French origin. 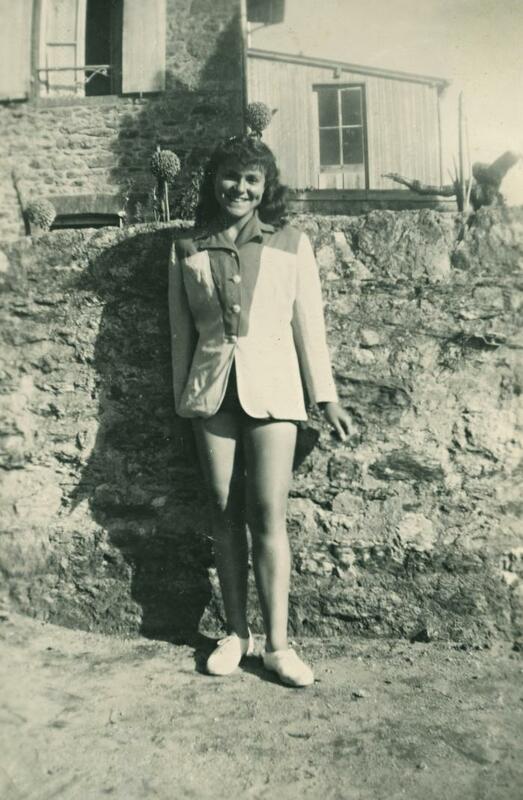 Born to Jewish parents – her father from Poland and her mother from France – she spent her early years in Paris before mounting political pressure forced her parents to send her and her siblings to safe houses operated by the French Resistance in the countryside. After the war she travelled extensively, working for the United Nations and other international NGOs, before immigrating to Canada. Jannushka Jakoubovitch is a dedicated student outreach speaker and VHEC Life Fellow recipient in recognition of her special contributions to Holocaust education and remembrance. Scope & ContentItem is a digitized photograph of Jannushka Jakoubovitch, age 16, photographed at a Jewish camp. Archival HistoryRecords were maintained by Jannushka Jakoubovitch until their donation to the VHEC in 1996. A second accrual of photocopied articles and digital copies of family photographs was donated in August, 2016. Existence and Location of OriginalsJannushka Jakoubovitch holds the original photograph.